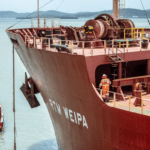 Rio Tinto has announced disruptions to certain iron ore shipments from Western Australia following the impact of Cyclone Veronica. 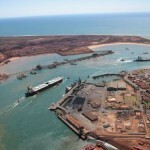 The tropical cyclone made landfall in Australia between Karratha and Port Hedland on the northwest coast of Australia on March 24, causing several mining companies including Fortescue Metals Group, Rio Tinto and BHP to suspend their operations in the Pilbara region. Rio Tinto’s Weipa bauxite operations in Queensland was temporarily halted in anticipation of a second cyclone on the east coast, Cyclone Trevor, but operations resumed last week. While Rio Tinto’s operations in Western Australia and Queensland have returned to normal, the company has suffered damage at its Cape Lambert A port facility in Western Australia and is working with certain customers to minimise disruption to supplies. Rio Tinto ships several iron ore products (including iron ore from the Robe River and Yandicoogina operations in the Pilbara) through Cape Lambert A, which has an annual loading capacity of over 85 million tonnes a year. The company did not state how long it expected the disruption at Cape Lambert A to last, but suggested in an ASX statement the combined impact of Cyclone Veronica and its fire in January this year would contribute to a loss of around 14 million tonnes of production. The fire, which occurred on January 10, caused damage to part of a screen facility used to separate lump and fine products from Robe Valley. Due to these issues, Rio Tinto expects its 2019 Pilbara shipments in 2019 to be at the lower end of its 338–350 million tonnes (100 per cent basis) guidance. 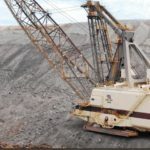 “Safety remains our top priority as we ramp up operations, and undertake the necessary remediation work, following the passing of the cyclone,” Rio Tinto said. 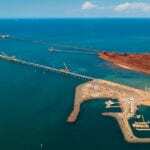 Shipping and rail operations at Rio’s two other port facilities, Cape Lambert B and the Port of Dampier, have in contrast returned to normal since the storm hit the region last month. “The company is currently assessing the impact of the damage sustained at the Cape Lambert A port facility and is working with its customers to minimise any disruption in supplies,” a Rio Tinto spokesperson said.